The first full-length official trailer for the new Marvel series "Jessica Jones" has arrived. It reveals the type of dark grip her former superhero life has on her during her present life in New York's Hell's Kitchen. Now a private detective, Jones (Krysten Ritter) finds love (Mike colter as Luke Cage) and friendship (Rachel Taylor as Trish Walker) but can't escape the terror of an old enemy (David Tennant as Kilgrave). Kilgrave (the Purple Man in the comics) emerges once again to wreak havoc in Jones' life with his power of mental manipulation. The trailer shows Kilgrave's powers at work with lethal consequences. Jones still bears the mental scars from her superhero days and the show will tackle those issues in the form of PTSD. Early reports from New York Comic Con where the first episode was screened say that the show is darker, more mature, than anything Marvel has done including the first Netflix series, Daredevil. The trailer certainly backs that up. 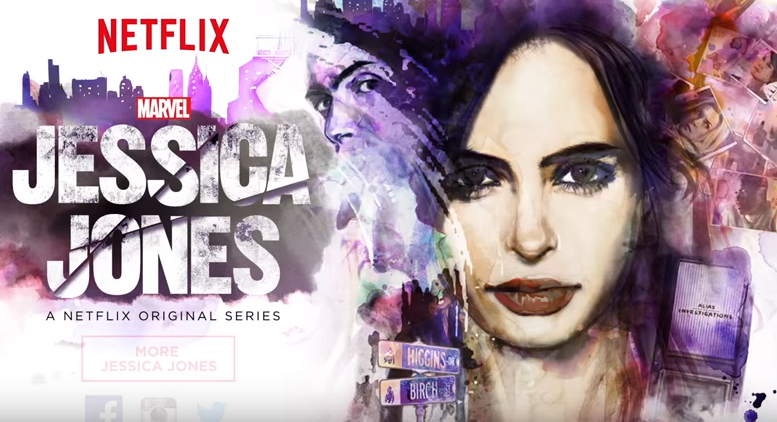 'Jessica Jones' debuts on Netflix on November 20.